Looking For Ac Repair Hvac? All of our high-efficiency systems optimize comfort while also lowering power expenses and sound levels. For optimum efficiency, AC Repair of Euless highly recommends buying a matching heater which is rated and sized correctly to work alongside the air conditioning unit of your choosing. 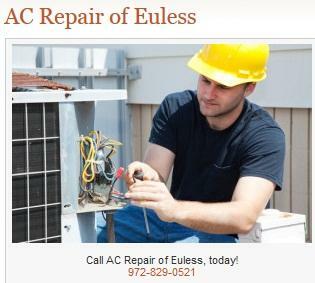 AC Repair of Euless expects you to be comfortable all year long, to help you unwind in your house and to keep sending our company wonderful letters of compliments. Do you have more inquiries about our air conditioner services? Call us at 972-829-0521, right away.